CK ranks the 10 biggest infrastructure projects in Canada that will help lower the country’s GHG emissions. Early construction at Nalcor's Muskrat Falls project. What makes a “green” or “climate-friendly” infrastructure project? It’s easy to get into a heated debate over the specifics. If your goal is strictly to reduce CO2 emissions, then it could be argued – and is by many – that nuclear power plants fit the bill. If your goal is to reduce CO2 emissions without creating other problems, such as impacting biodiversity or polluting soil or accumulating toxic waste, then nuclear creates big concerns. Even with large hydroelectric projects, the jury is still out for many people. Then there are those projects that don’t address climate issues directly but solve very specific environmental problems – water or air pollution, waste production, threatened habitat, and food degradation, to name a few. Disagreement on what should or shouldn’t make the cut has made it difficult to define what kinds of infrastructure projects should qualify for green bond issues, which are debt instruments designed to raise capital for projects with environmental benefits. Public transit, renewable energy generation and wastewater treatment with methane capture seem like obvious candidates. But some projects are not so obvious. The Climate Bonds Initiative is working to formalize a climate bonds taxonomy, which helps categorize projects that are likely to qualify for certification. 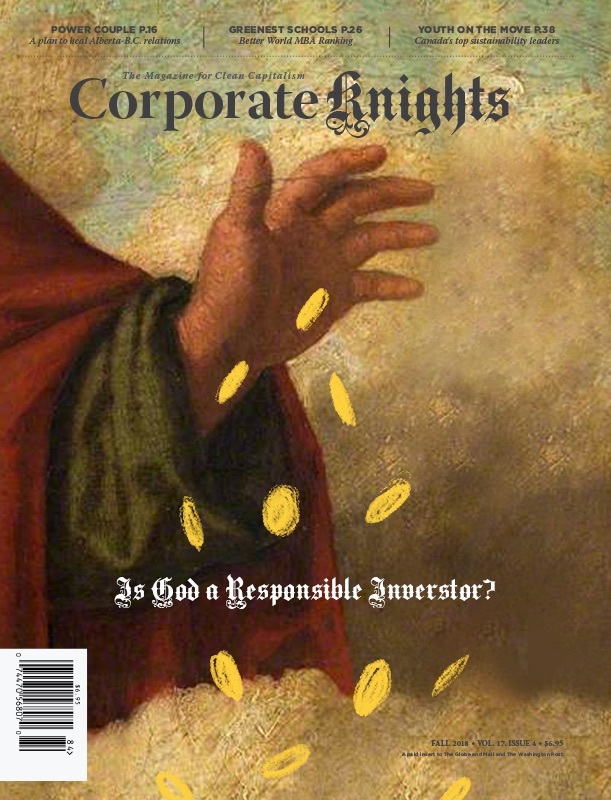 The litmus test: is a project consistent with the emissions signature of a low-carbon economy – i.e. that required to avoid dangerous climate change? As mentioned, some categories – solar, wind, transit – are pretty straightforward. Others are more nuanced with finer details still being worked out. Rail tracks and trains generally qualify, but rail tracks and trains meant primarily to transport fossil fuels do not. Small hydro does, but big hydro (projects larger than 20 megawatts) is still being explored. Early indication is that most large hydro projects in tropical zones will not qualify on account of their high lifecycle emissions, primarily associated with methane emissions from the decomposition of organic matter in flooded lands. Big hydro in temperate zones where there is less decomposition, however, is expected to pass the climate-friendly litmus test. Power lines that enable fossil-fuel electricity trade do not qualify, whereas power lines primarily aimed at transporting renewables do. Nuclear power is a big question mark at the moment. Uranium mining does not qualify but nuclear power plant eligibility is being studied. A solar farm built by an oil company counts, but an energy efficiency investment in an oil company’s operations do not. Generally, the Climate Bonds taxonomy excludes anything that extends the life of fossil fuels. Taking this into account, Corporate Knights has gone ahead and compiled a list of the top 10 climate-friendly infrastructure projects in Canada, ranked by investment size. We made some decisions, and one was to include big hydro and exclude nuclear, though we recognize some of the projects below have been highly controversial and carry with them legitimate concerns that need to be addressed. Based on the research we’ve seen, however, the emission-reduction benefits of large hydro development in northern countries, such as Canada, far outweigh the potential emissions that might result from decaying organic material. If planned properly and designed for minimal impact on biodiversity, big hydropower can – and should – play a much larger role in the fight against climate change. The Site C project represents the third dam and hydroelectric station on the Peace River in northeastern British Columbia. When completed, it will generate 5,100 gigawatt-hours of electricity annually, or enough to power the equivalent of nearly half a million homes with an emission-free resource for more than 100 years. It’s not expected to be completed until 2024, but it would carry B.C. into the 22nd century. This is probably one of the more controversial hydroelectric projects in Canada at the moment. That’s because building the Site C dam would require flooding 83 kilometres of river and potentially an area of 52,000 square kilometres. The expected impact on wildlife habitats, First Nations territories and some farmland has created much backlash, particularly from aboriginal groups in the area. Others, such as the Canadian Geothermal Association, have argued that B.C. should pursue geothermal power combined with other renewable energy options in the province. Is the clean power that will come from Site C for more than a century an adequate tradeoff? Of all options, is it the best for B.C.? Depends on who you ask. 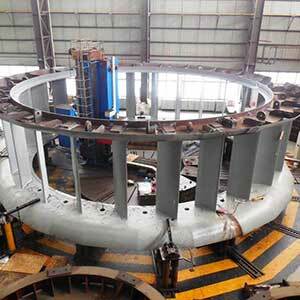 Manufacturing of one of the turbines that will be used to generate clean electricity at Nalcor Energy’s Muskrat Falls station. 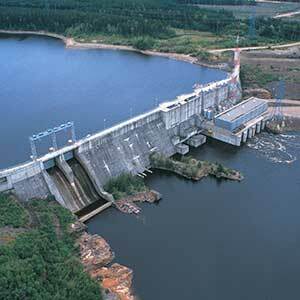 The Muskrat Falls hydroelectric development is located on the lower Churchill River in Labrador. 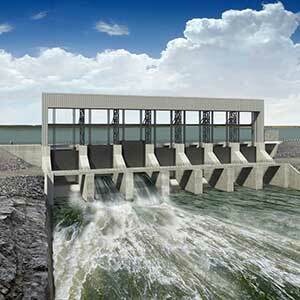 It will include an 824-megawatt hydroelectric dam and more than 1,500 kilometres of associated transmission lines. That transmission will deliver emission-free electricity to homes, businesses and industry in Newfoundland & Labrador and into Nova Scotia and beyond. About 40 per cent of the power generated at Muskrat Falls will be used in-province, while 20 per cent will be earmarked for use by Nova Scotia in exchange for 20 per cent of the project costs. Nalcor Energy expects to export the rest – about 40 per cent – to provinces and states in Atlantic Canada and throughout New England, and potentially even Ontario. Over time, Newfoundland & Labrador is expected to need 80 per cent of all power from Muskrat Falls by 2036. Once built, 98 per cent of the province’s electricity will come from renewable sources. Despite some setbacks, the project is expected to be complete and operational in 2017, on schedule. The first of 3,300 transmission towers connecting Muskrat Falls to a switchyard near St. John’s was erected in April. The high-voltage, direct-current (HVDC) line will stretch 1,100 kilometres. An artist’s rendering of the Keeyask spillway, which will control the release of water from the dam. Manitoba is a hydropower giant that keeps getting bigger. Its latest project – a partnership between Manitoba Hydro and four First Nations – is the Keeyask development located in the northern part of the province, about 725 kilometres northeast of Winnipeg on the lower Nelson River. Construction began in July 2014 and is expected to continue until 2020. The generating station will be Manitoba’s fourth largest, with a capacity of 695 megawatts and producing an estimated average of 4,400 gigawatt-hours of electricity annually. That electricity will be used within province and exported, mostly across the border to the United States. Like all big hydro projects, flooding of existing land is required. With a total planned reservoir of 93 square kilometres – equal to about 30 Central Parks in New York City – half of that is expected to be newly flooded. But an environmental review determined that it would take 100 years for Keeyask to emit the same amount of GHGs that a natural gas-fired plant emits in just 177 days. The Romaine Complex will have four reservoirs, requiring about 279 square kilometers of land flooding. 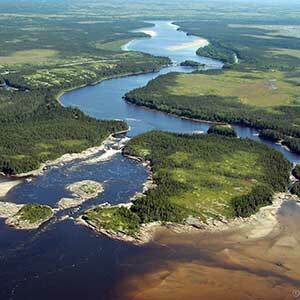 Hydro Québec’s 1,550-MW hydroelectric complex is on the majestic Romaine River, north of the municipality of Havre-Saint-Pierre. It’s called a complex, not a station, because it will consist of four hydropower generation facilities. Together, they’ll have an average annual output of 8,000 gigawatt-hours as the water flows toward the Gulf of St. Lawrence. One station, Romaine-2, began operation in late 2014. Romaine-1 and Romaine-3 are under construction and expected to be in service by 2016 and 2017, respectively. It will be 2020 by the time the entire project is finished. Plenty of clean power will be delivered from this project, but like others of similar scale, not everyone is happy. The Nutashkuan Innu community, for one, accuses Hydro Québec of plundering the environment and not working with the community to minimize local impacts in wildlife, traditional hunting and fishing. A total of 279 square kilometers of land will be flooded to create all four reservoirs. One of the more difficult aspects of constructing Toronto’s Eglinton Crosstown LRT is that 10 kilometres of the 19-kilometre route will be located underground. This project is part of a larger, $50-billion investment spanning 25 years, with a goal of easing traffic congestion in the Greater Toronto and Hamilton Area (GTHA). 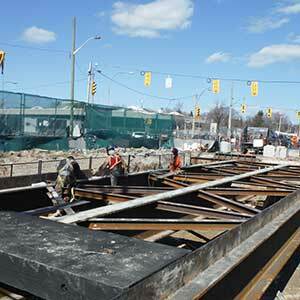 The Eglinton Crosstown is an east-west light rail transit line along a 19-kilometre corridor. About 10 kilometres of that will be located underground. It’s no secret that traffic in Canada’s largest city is crazy, and getting worse. This LRT represents the biggest transit investment in Toronto’s history, and with 25 stations and stops will make commuting that much more convenient and alluring. Construction began in 2011 and work will continue to at least 2020. By 2031, it’s expected about 5,400 passengers will use the LRT per hour during rush periods, but up to 15,000 can be accommodated at capacity. That’s a lot of people potentially staying out of their cars and burning less fuel. Last fall, Ontario raised $500 million through the issue of its first green bond. Most of the proceeds from the offering will go toward funding the Eglinton Crosstown LRT. The clean power generated from hydroelectric projects means little if you can’t reliably get that electricity to where it’s needed. When it enables the strategic movement of clean energy, transmission counts as climate-friendly infrastructure. The Bipole III project is Manitoba Hydro’s insurance policy of sorts, though critics call it an overly expensive one. Right now, about three-quarters of the hydropower delivered from northern to southern Manitoba is through a single HVDC corridor called Interlake and one converter station. Forest fires and severe weather such as ice storms and extreme wind – happening more frequently as a result of climate change – puts the corridor at risk and increases the likelihood of power outages. Bipole III will be a 500-kilovolt line linking the utility’s northern power-generating complex on the Lower Nelson River with the conversion and delivery system in southern Manitoba, where most of the province’s population resides. The Nelson River has only been developed to half its hydroelectric generation potential. The second corridor will bring both reliability and room to grow system capacity, whether that means to satisfy in-province demand or export demand from the likes of Minnesota and Wisconsin – and maybe Ontario down the road. It’s still early days for the Scarborough Subway Extension, and Toronto politicians have been known to change their minds on a dime. The exact underground route, three station locations and construction methods are still to be determined, and opinion polls suggest the public isn’t completely on side. Many, in fact, would prefer that the city invest in a much cheaper, seven-stop LRT system that would extend the most eastern side of Toronto’s Bloor-Danforth subway line further into Scarborough. But Toronto Mayor John Tory and Ontario Premier Kathleen Wynne consider the matter closed. 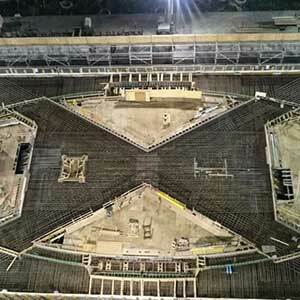 A final plan is expected to come down next year, and it will take several years to complete the project. When done, the new line is expected to carry 9,500 to 14,000 riders during peak hour and direction by the year 2031. Like the Eglinton Crosstown LRT, the Scarborough subway extension is expected to take thousands of cars off the road, both easing downtown congestion and reducing GHG emissions and air pollution. One of six stations being built along the new Spadina subway extension, the Vaughan Metropolitan Centre Station will boast a green roof, LED lights, and ample bicycle parking. Unlike the Scarborough subway extension, construction of Toronto’s Spadina extension is well underway with service expected to begin at the end of 2017. This is an 8.6-kilometre extension and the first to cross the Toronto city boundary, in this case reaching into the regional municipality of York. There will be six stations in total, including one at York University that will support student commuting. Most stations will feature green roofs, high-efficiency LED lighting systems, increased used of natural sunlight, plenty of parking for cyclists, and high-efficiency heating, cooling and water systems. As is the case with all Toronto subway and LRT projects, electricity used to power vehicles will be low-carbon, as Ontario has phased out coal power and depends predominantly on hydro, nuclear and wind generation. And, of course, it will reduce city emissions and congestion by encouraging people to leave their cars at home. The province estimates that the new line extension will add 36 million transit trips and eliminate 30 million car trips per year. The Lower Mattagami project will complement the existing Upper Mattagami complex, shown here. This hydroelectric project was completed in January, half a year ahead of schedule. It has been described as the largest project of its kind in Northern Ontario over the past 50 years, and has not faced the same kind of resistance as other recent large projects, such as Site C or the Romaine Complex. Part of the reason is that the project, located about 70 kilometres north of Kapuskasing, was not a virgin development. Four Ontario Power Generation (OPG) hydroelectric stations built in 1931, 1963, 1965 and 1966, respectively, already existed at the site. OPG completely replaced the oldest station with a larger three-unit facility and added a new unit to each of the other three stations. The effect is that it brings 438 megawatts of new renewable power capacity to Ontario’s northern grid. Another unique feature is the partnership OPG struck with Moose Cree First Nation, which owns a 25-per-cent equity stake in the project. It was considered a groundbreaking deal that improved government-aboriginal relations. Moose Cree businesses benefitted from $300 million worth of sub-contracting work and more than 250 First Nation and Métis workers were employed at the peak of construction. “A typical hydro station remains in service for 100 years or more, so the Moose Cree community will have a revenue stream for many years,” OPG said. The project has been described as a model partnership between government and First Nations. 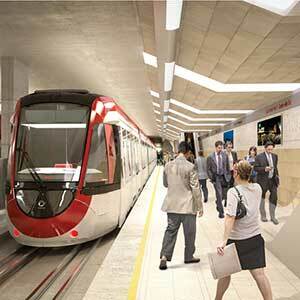 The new LRT cars used on the Confederation Line will help keep cars and buses off roads, reducing city emissions. Toronto isn’t the only Canadian municipality trying to get its transit house in order. Ottawa, the nation’s capital, is in the middle of phase 1 of a new LRT system that will include a 2.5-kilometre tunnel through the downtown core. Construction began in 2013 and will continue until about spring 2018. The system will come with an integrated pedestrian and cycling network and lots of public spaces. Once finished, it will carry 10,700 passengers per hour in each direction during peak times, with the ability to handle more than 18,000 by 2031. It’s expected it will help traffic flow by eliminating half the buses from the downtown core, reducing the city’s own fuel consumption by 10 million litres annually. An estimated 9 per cent increase in ridership will also keep cars off the roads – the equivalent of 7,300 cars based on anticipated GHG reductions of 38,000 tonnes a year by 2031. Contract engineering firm SNC Lavalin, which has been working on the project, says the environmental benefits could be larger with annual GHG reductions of 94,000 tonnes and air contaminant levels lowered by 4,600 tonnes. “Ottawa’s updated modelling analysis calculated that the project would result in 13,750 fewer vehicles on the road, leading to a saving of 232,700 vehicle-kilometres travelled in 2031 during the morning peak hours,” the engineering firm says on its website.